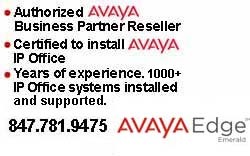 Avaya IP Office Information - IP Office support service in Chicago to Milwaukee areas. Avaya IP Office R11.0 SP2 available now. installed correctly? We can help with that! We are certified and experienced with 1000+ IP Offices installed, serviced and supported..
We can provide expert on site or remote support. Internet Telephony magazine has named Avaya IP Office 8.1 its 2012 Unified Communications Product of the Year. Selection was based on quality and excellence in addressing the real needs of small-to-midsize businesses. Avaya IP Office Server Edition has been recognized for Exceptional Innovation. It was given a 2013 Unified Communications TMC Labs Innovation Award. Who better to sell, program, install and train on Avaya IP Office than Bishop Computer. We've been around for all the different releases. We have technicians who are expert on the system and have knowledge of each release... Contact us today! The Avaya IP Office Platform is a cost-effective system that supports a mobile, distributed workforce with voice and video on virtually any device. IP Office is an integrated, modular communications solution that scales up to 3000 users and 150 locations in a multisite network with resiliency. Match a deployment model to infrastructure needs from simple appliances to dedicated servers to virtualized software in a data center. Improve customer experience and contact center agent efficiency with powerful, affordable multichannel functionality for voice, email, fax, SMS, and web chat. The solution combines collaboration software plus multichannel contact centers, networking, security and video. There is an IP Office to meet the needs of any small and midsize business. From the smallest enterprise with essential team engagement and mobile requirements, scaling up to sophisticated large enterprises requiring high levels of resiliency to support their customer engagement solutions. IP Office Select - For robust large scale team, mobile, and customer engagement with higher resiliency on a software-based solution. Server Edition - For robust team, mobile, and customer engagement on a software-based solution. Preferred Edition - For robust team, mobile, and customer engagement on a simple-to-deploy appliance. Essential Edition - For essential team and mobile engagement on a simple-to-deploy appliance. Basic Edition - For simple individual engagement on a simple-to-deploy appliance. IP Office continues to evolve with Release 11. There have been significant advancements in security and resiliency, particularly for those that are interested in moving to cloud deployments. Avaya offers solutions from pure premises deployments, to pure cloud deployments. This offers flexibility for customers to start with a premises-based solution, move to cloud as a resiliency option, or start in cloud and still have resiliency on premises. As an added benefit, customers who are familiar and accustomed to analog line appearances, as with key system, may now deploy SIP trunks and program line appearance buttons on their phones. SIP Line Appearance will be supported on Essential Edition, Server Edition, Select and Powered By solutions. This makes it easier to migrate smaller businesses with analog line appearance to SIP trunked systems while preserving their user experience and business processes. IP Office provides high-availability and secure communication without the high costs and complexities of managing additional servers in their network. Customer locations may have automatic backup, active calls stay connected, no idle hardware needed. R11.0 introduces WebRTC Gateway resiliency with IP Office Select; providing High Availability (HA) to WebRTC users. For ease of use and enhancing the user experience, the new IP Office Web Client is a WebRTC based client that facilitates audio, video, Instant Messaging and Presence based collaboration between users in either a Chrome browser-based environment (Windows or MacOS) or as a standalone Windows client. Support of the new J169 and J179 IP phones will be added with R11.0. These two new IP phones will address the need for everyday voice communications. The Vantage Basic software client will also be supported and will introduce the all glass Vantage device to the Midmarket. R11.0 will also start the introduction of the Avaya Equinox™ client on IP Office. 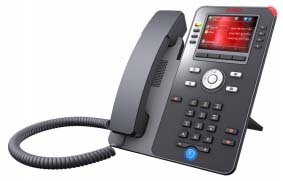 With R11.0 the Avaya Equinox™ client will be supported on IP Office as a softphone only (audio and video calling). Instant Messaging will be provided via Zang™ Spaces, presence will be provided via the IP Office core and there will be optional subscription available to Avaya Equinox™ Meetings Online for multi-party audio / video / web conferencing. 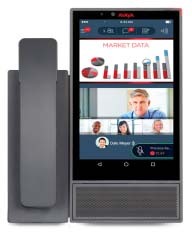 While the Avaya Equinox™ 3.4 client will be a common client across both of Aura and IP Office (R11) platforms in the May timeframe – it is very important for all to understand that the client capabilities will vary, depending on the platform that the client registers to. This is down to different underlying architectures in each case. Note: Features listed are available worldwide unless otherwise specified. Not all of the features in IP Office Release 11.0 are supported on all Editions, platforms and phones - please see each feature's description for details. Cloud portal APIs, SDKs and Example applications will be available with the Powered By Avaya IP Office R3.0 Cloud release. IP Office Support Services (IPOSS) customers entitled to IP Office software updates/upgrades under a current support agreement will be upgraded in accordance with the terms of their support contract. Customers operating earlier releases of IP Office software without an IPOSS contract will need to purchase an upgrade to get to IP Office R11.0/10.1. (1) These browsers update on a 6-week cycle with most users automatically updated within two weeks. IP Office will aim to support future versions of these fast release browsers to the extent possible as tested and verified. (4) Contact Recorder is no longer supported with R11.0. IP Office software supports Server Edition hardware platforms; the Dell PowerEdge R630 server and the Dell PowerEdge R230 server are the most current servers available. The Dell PowerEdge R630 server support was introduced with IPO 9.1.4 SP (issued September 14, 2015). Note: IP OFFICE 500 VERSION 2 EXTENSION CARD ETR 6 will be targeted to end of sales in 2017. Please look forward to the End-of-Sales Notice for further details. Customers may migrate to IP Office R11.0 by purchasing an upgrade for Release 10 and applying the R11.0 software, or by acquiring an upgrade as part of their entitlement per the terms of their valid IP Office Support Services support contract, as applicable. Customers migrating to IP Office R11.0 will be required to have an IP500 V2 control unit or supported servers with Server Edition. IP500 base cards, trunk cards and expansion modules are supported with IP500 V2 control unit and may migrate to the V2 control unit. Licenses will require a dongle swap to move from the IP500 key card to the IP500 V2 SD card. All other Release 11.0 features are supported on all platforms. IP Office R11.0 Select features are supported with Select material codes. The J129 IP Phone delivers all your essential call-handling features in a cost-effective, affordable, yet highly functional SIP phone. Designed for public or walk-up locations such as lobbies, hotels, meeting rooms, student dormitories, retail or any user with basic communication needs. 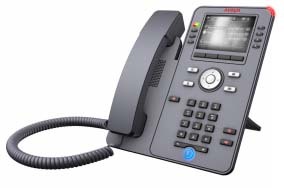 The Avaya J139 IP Phone is designed for users that make a low number of calls and need a minimal feature set. The phone is set at a low price and works well in areas such as cubicles, visitor offices, dormitories, and classrooms. 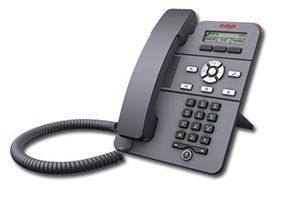 The Avaya J169 IP Phone serves the need for everyday voice communications. Designed for professionals, knowledge workers, salespeople, call centers—all users who rely on the full range of telephony features. 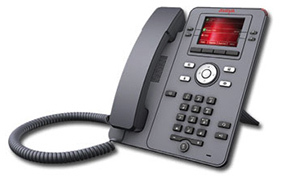 The Avaya J179 IP Phone addresses the need for everyday voice communications. Designed for users who need a full range of telephony, productivity, and collaboration features, the phone also works with the optional J100 Wireless Module for Wi-Fi® connectivity and/or Bluetooth® headsets. IP Office sales and technical support, is our expertise. It's always interesting to see what situations or problems that we can help with. Troubleshooting intelligently as to why a system or programmiing is acting the way it is, is how we work. That took a lot of IP Office installation experience and of course, certification. A lot of the time issues occur is because it is the way a system was programmed. There are so many IP Office programmers out there that are "expert" but really don't know how to program properly. That would entail no errors or programming that actually goes somewhere. A lot of programming we've seen is just all over the place. Time to clean it up. Sometimes issues aren't really issues and it boils down to the fact that IP Office doesn't always work the way an old PBX works. That's where training comes in. Learning to work with IP Office and the newer technologies will help you grow your business. Do you have employees / offices in different states or even countries? Do you have remote workers that work from home? It's time to grow and Bishop Computer is here to help. 847-781-9475 or email for a support appointment. A credential report can be sent to you verifying certification from Avaya. Don't just take someone's word that they are certified. IP Office Definity Merlin & Partner ACS 24 hour technical service support.